“Stories of Survival from Historical Trauma will help us to heal. 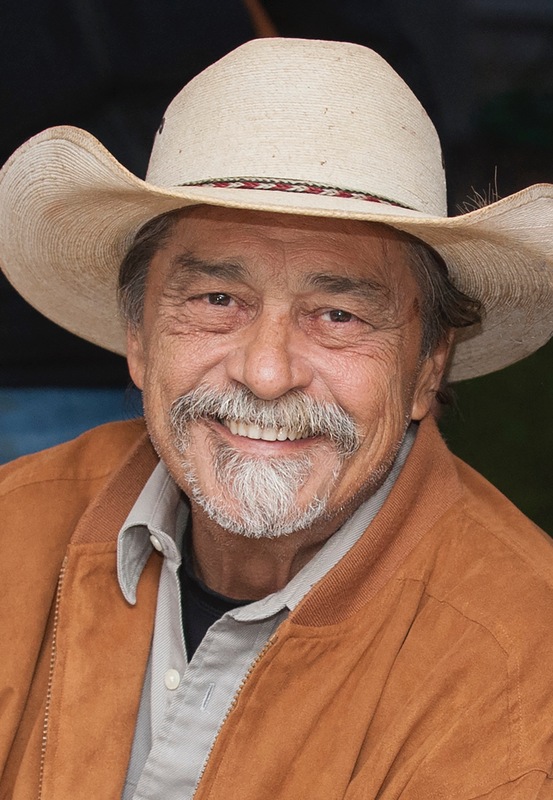 However, it is our connections to our culture, traditions, and family that has allowed us to not only to survive but will allow us to thrive now…and forever,” said Kathy Broere (Blackfeet) who directed the Browning Segment of the film. Keith Secola was the composer for Dodging Bullets. Other First Nation Musicians include: Tall Paul, Dorene Day Waubanewquay, Mitch Walking Elk. Featuring: Melissa L Walls, Dr. Anton Treuer, Emmy May, Chy, Dirk Whitebreast, Bree Waabinesiik Green, Dr. Michelle Johnson-Jennings, Melvin Lee Houston, Mike Her Many Horses, Leonard Thompson Jr., Rick McArthur, Leonard Thompson, Linda Eagle Speaker, Dennis Banks, Clyde Bellecourt, Joseph Marshall III, Venessa Goodthunder, Rachel Yehuda, Don Coyhis, Richie Plass, Lester Johnson III, Tara Houska, Larry Leventhal, Bill Means. 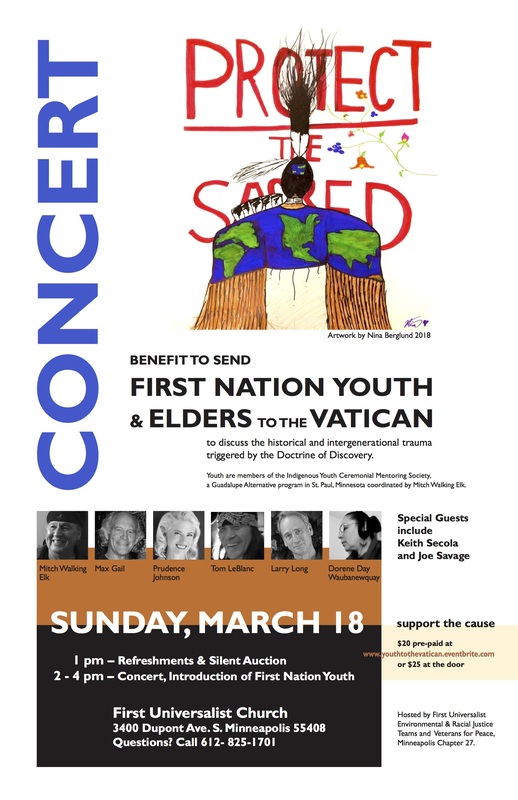 Join Larry Long; Dorene Day Waubanewquay; Max Gail; Prudence Johnson; Tom LeBlanc; MitchWalkingElk; and Joe Savage on Sunday, March 18, 2018 to help fund a trip for 12 First-Nation youth and elders to visit the Vatican to discuss the historical and inter-generational trauma resulting from the Doctrine of Discovery. Co-Sponsored by Veterans for Peace, The Environmental Justice and Racial Teams of First Universalist Church, and American Roots Revue. Tickets: $20 in advance (https://www.eventbrite.com/e/indigenous-youth-to-the-vatican-tickets-43467617815); $25 at the door. Larry Long and Ann Reed have been sharing their gifts in communities around the country. And they live only blocks away from one another in the Longfellow neighborhood! Join these two troubadours for an evening of songs and stories in an intimate setting right here in Longfellow. An Extraordinary Evening of Artists Sharing the Stage and Each Other’s Songs! There’s never been an American Roots Revue show like this one! Internationally renowned singer and songwriter Haley (Bonar), national-international touring artist with Ben Rector and Vulfpeck, Cory Wong, and Vulfpeck singer, gospel and R&B artist Antwaun Stanley, are joining singer-songwriter and community builder Larry Long, with select members of The Hornheads (Prince, Mavis Staple, Jimmy Jam, Phil Upchurch, et al) and members of Wong’s The Green Screen Band as the American Roots Revue backing group for just two shows January 13, 2018, at The Dakota at 7:00 and 9:00 p.m.
Tickets are $40 for the 7:00 p.m. show and $25 for the 9:00 p.m. show and available in advance at www.dakotacooks.com/and at the door. This incarnation of the Revue will feature what the singular, always-changing band line up does best — capture first-rate artists that have never shared a stage before teaming up to do each other’s songs, plus classic tunes from America’s great songbook. It’s a truly special night whenever ARR is onstage that has produced some exceptional performances that will never be seen again! Join Larry for a special, intimate two-hour concert of original music with Daryl Boudreaux on percussion and Sid Gasner on Guitar at the Folk House (4500 Culver Road in Golden Valley) on Saturday, December 9th at 7:30 p.m (doors open at 6:30). This is a concert you’ll not want to miss. Please RSVP by emailing Chuck Ericksen at <ccdericksen@gmail.com>. This November the revue returns to its roots with powerhouse vocalist and 2017-2018 McKnight Artist Fellow Tonia Hughes; J.D. 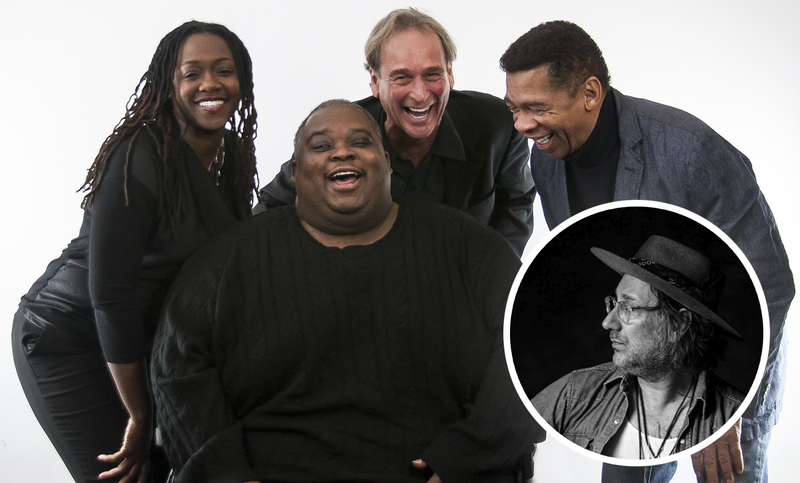 Steele (eldest sibling of ‘The Steeles’), the “Pavarotti of Gospel” Robert Robinson, acclaimed songwriter and front man for the Honeydogs Adam Levy with troubadour and community builder Larry Long. 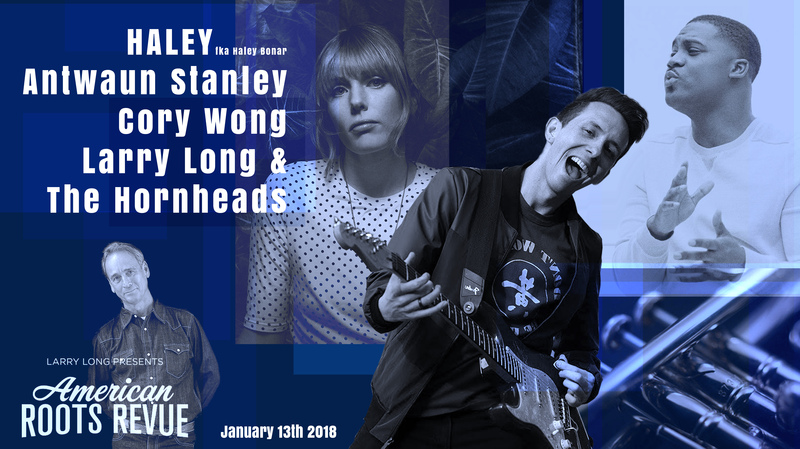 All backed by a superlative all-star band, which includes Billy Steele (Keyboards), Joe Savage (Pedal Steel), Yonathan Bekure(Bass) and Kenyari Jackson (Drums). This must-see bill will make you feel like you’re going to a revival inside the intimate nightclub that is the Dakota. Larry Long will be performing his new song “No One Can Keep a Good Woman Down” with 8th Grade Leadership students in honor of Mrs. Marian Sullivan Schwarz’s on her 104th Birthday at the Cashton Community Hall on Wednesday, October 18, 2017, 5:00 PM – 9:00 PM. This performance is part of a Cashton Community Celebration where students will also be reciting select words shared by Mrs. Schwarz about Mrs. Marian Sullivan Schwarz’s life. She will also be presented with a framed copy of the song lyrics and photo put together by her great grandson, Aiden Cook. About Mrs. Marian Sullivan Schwarz: Mrs. Marian Sullivan Schwarz grew up in Lyon’s Valley with her five sisters. During that time she grew to be a strong woman full of moxey and hope. In 1933, Marian received her first teaching job at Clements School in Portland, WI. For over 40 years she worked in the field of education in either a teacher or principal role. Her love of children and respect for the field has continued to this day. While teaching, Marian raised four children, milked cows, took care of a home, and attended college to earn her bachelor’s and master’s degrees. Many challenges faced her along the way such as WWII, Women’s Rights, and the day-to-day doings of a mother and a wife. Through it all she remained strong and driven. That drive is evident to this day as she reaches a new milestone in her life. 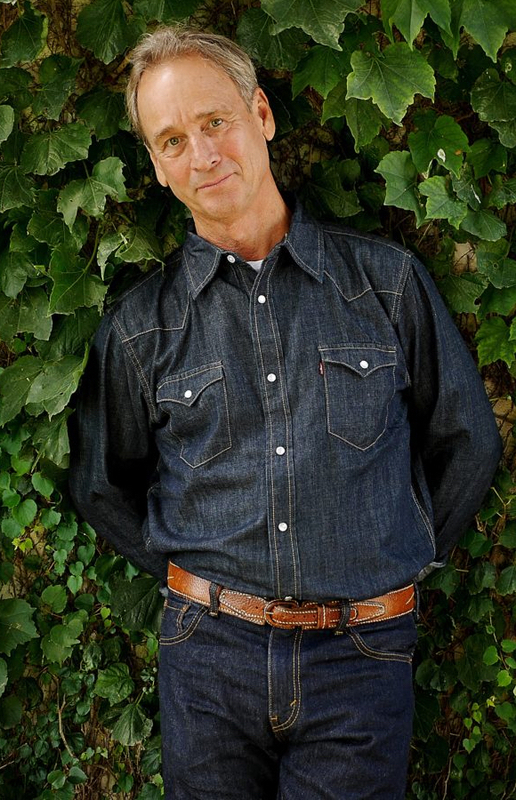 Join Larry Long & Friends for a Autumn Feast and Concert at Hawk’s Ridge Ranch on September 23rd, Saturday, 5 PM – 9 PM. Bring your family and friends! The proceeds from this celebration will go to secure Larry’s audio archives which honor the life stories of over 1,000 elders from every continent of the world who call the United States home. Larry will be joined by Joe Savage (Pedal Steel), Sid Gasner (Bass, Guitar) and Daryl Boudreaux (Percussion). Hay bales to sit on, bring chair or blanket if you like. BYOB. Rick McArthur, who spearheaded this event, will be honored at this gathering. Rick McArthur spoke truth to power, through helping us all realize that true power comes from a power far greater than ‘I’. He rarely crossed a river without putting a pinch of tobacco down into the waters to give thanks. Larry Long & Fiddlin’ Pete Watercott have been playing music together for over 40 years. In the early 1970’s they traveled and played music extensively throughout the United States – hitchhiking, hopping freights, and in the mid seventies traveled in the Lone Prairie Schooner and the Red Caboose down the back roads of America. Since those early days, they’ve both established their own separate remarkable musical careers. From singing with Kris Kristofferson at the Hollywood Bowl, Joan Baez at Pete Seeger’s 90th Birthday celebration at Madison Square Garden, on the California Zephr, to the Smithsonian Folklife Festival in Washington DC, and the Elko Cowboy Poetry Gathering in Nevada. Their journey is a true American journey! Though Fiddlin’ Pete and Larry now live thousands of miles apart (Pete in Bishop, California and Larry in the Longfellow Neighborhood of Minneapolis, Minnesota), they continue to get together to play music and celebrate with family and friends. Larry Long & Fiddlin’ Pete Watercott played at the first ever Barn Dance back in 1977 and they are going to be performing at this years Barnyard Jamboree! Full Schedule of Campbell Homestead Barnyard Jamboree on August 25th & 26th listed below. Larry Long will be performing in Fredrikstad, Norway at a gathering with Rigoberta Menchú. Rigoberta Menchu received the Nobel Peace Prize for dedicating her life to publicizing the rights of Guatemala’s indigenous feminists during and after the Guatemalan Civil War (1960–1996), and to promoting indigenous rights in the country. Other performances between September 3- 11 will include a concert at the International Meeting Point and a cultural-diversity workshop with students at Haugeåsen Middle School. Larry will be singing My Rainbow Race in honor of Pete Seeger at each event. My Rainbow Race by Pete Seeger was sung by over forty-thousand people in Norway at a “rose rally” in response to the murder of seventy-seven innocent people by a far-right extremist in Norway on July 22, 2011. These performances coincide with the 450th Anniversary of the founding of Fredrikstad in 1567. Poisons, bombs. They think we need ’em. Don’t you know you can’t kill all the unbelievers? There’s no shortcut to freedom. Go tell, go tell all the little children. What’s been given to me and you. American Roots Revue: Larry Long, Robert Robinson, JD Steele, Tonia Hughes reunite at the Dakota Jazz Club and Restaurant in Minneapolis, Minnesota on Friday, November 18th for two shows. American Roots Revue works from the core of America’s richest musical traditions of First Nation, gospel, blues, folk, rock and R&B. This November the revue returns to its roots with its original line up that includes acclaimed gospel vocalist and community leader JD Steele! JD joins musicians that will also include the show’s producer and community builder Larry Long, with powerhouse gospel and soul singer Tonia Hughes, and the American Roots anchor artist — the “Pavarotti of Gospel” — Robert Robinson. 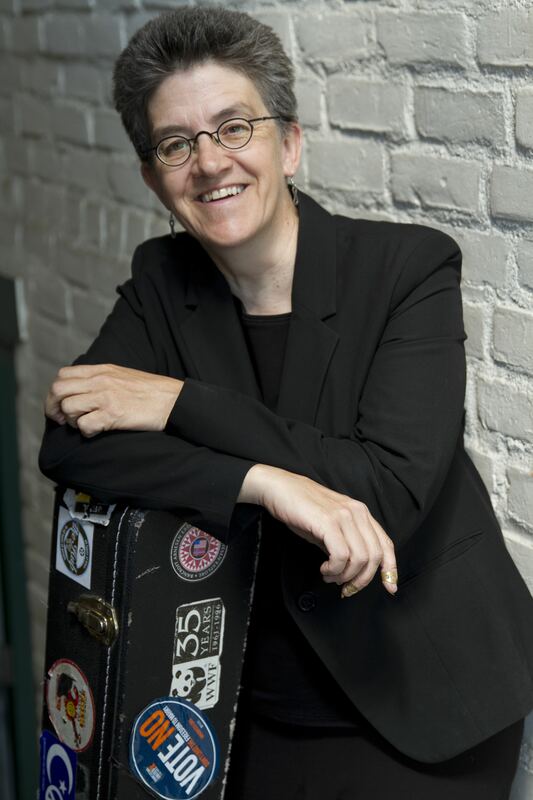 Larry Long’s American Roots Revue boasts the artistic range to salute iconic America music heroes like Pete Seeger on what would have been his 95th birthday with a cavalcade of talent. And the poetic license to present artists in unique combinations with each other, like this must-see bill! It’s not unusual to see internationally known blues singer and writer Guy Davis with best-selling rockers like Dave Pirner from Soul Asylum, and rising pop star Chastity Brown with Minnesota’s favorite chanteuse, Prudence Johnson, all backed by a superlative band and vocalists who will make you feel like you’re going to a revival inside the intimate nightclub that is the Dakota. Hau Mitakuyapi, dear friends, relatives, and allies, you are cordially invited to the Mni Ki Wakan: Indigenous Peoples’ Decade of Water Pre-Summit Fundraiser. It will feature indigenous rights defenders, artists, traditional foods by an indigenous chef, presentations, and a short documentary related to the upcoming Mni Ki Wakan: Indigenous Peoples’ Decade of Water Summit. Contributions and donations will support the first annual Mni Ki Wakan: Indigenous Peoples’ Decade of Water Summit that will convene diverse indigenous peoples and youth from the world community in the spirit of Mni Ki Wakan: Water is Sacred on August 1st and 2nd, 2017. Your presence will help support the historical inauguration of the Mni Ki Wakan: Indigenous Peoples’ Decade of Water Summit. Summer Solstice, June 21st, 7 PM, FREE! To embrace the world with open arms of curiosity. To listen without judgment to the subtle magical rhythms and musicality of an ancient language spoken, as it rolls off the tongue of hard working people. To embrace each breathe, each step, and each new day with joy and laughter. To see one’s own reflection within the sparkle of the eyes of another. To fall in love with the wonderment of it all. To be alive. “To honor the life of another is to honor oneself…The word “honor” simply means to listen.” Songwriter Larry Long, this season’s final TED Talk-PV-Style presenter, on Tuesday, April 18 from 10:00 a.m. to noon at Boutique Theater, will share inspirational examples of how he has embraced that philosophy in his work as a modern-day troubadour, committed to celebrating the lives and struggles of ordinary people in narrative and song. 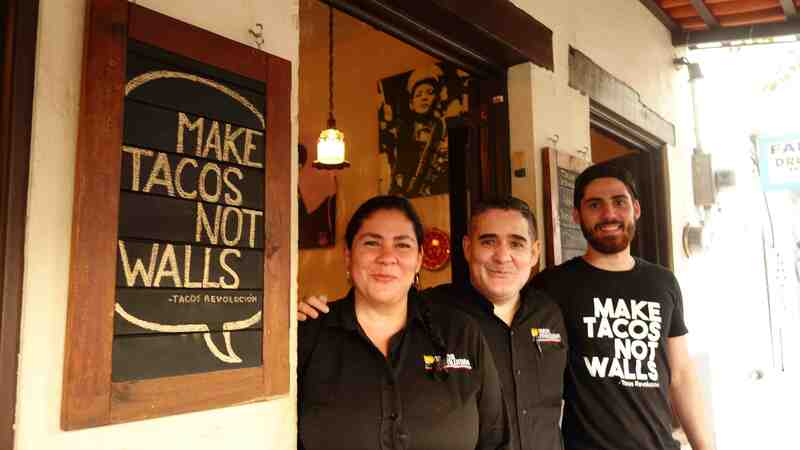 His message, in short, is to be kind to all. A social advocate, Larry has had the unique experience of living inside the lives of communities at important moments in history and utilizing these experiences as the focal point of his music. As a Midwestern young man he rode with farmers on their tractorcade to Washington DC. On the East Coast he came to know Pete Seeger, who shared his efforts to clean up the Hudson River. This led Larry to go back home to Minnesota and create the Mississippi River Revival to celebrate and help restore that great river. Along the way, he was adopted by the American Indian Movement and traveled with their caravans to affirm their sovereign rights. His great respect for Woody Guthrie led him to Woody’s hometown of Okemah, where after many years of silence, Larry was able to help create their first tribute for Woody.